Aham Bhumika is a registered NGO working in two villages adjacent to each other namely Borda and Mahabadia, in the outskirts of Bhopal, Madhya Pradesh. Besides a livelihood initiative of hand embroidery for the rural women, the organisation runs art and craft initiatives in the same villages. 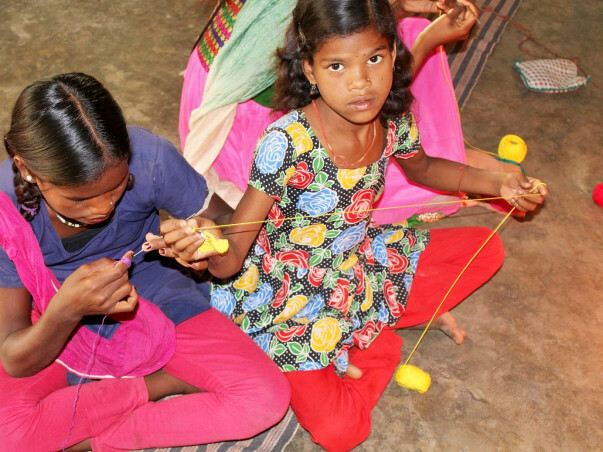 The NGO imparts craft education to 30 rural girls who learn paper quilling and crochet craft. From this financial year the rural girls will be taught the art of hand embroidery as well. In this art and craft group there are 10 rural children who are practicing Gond Art, a tribal art form of Central India. The children of the villages are learning art and craft with immense enthusiasm. Before the intervention of Aham Bhumika use of paint, brushes, canvas, paper quilling tools, crochet and threads etc. was a distant dream for these children. All these materials were not available / accessible to these children who are immensely talented. At the moment more than 40 children are learning art and craft in the activity centre at Borda. The children involved in the activity of painting are doing wonderful art work. The main aim of this initiative is to develop creativity among the rural children and encourage them to learn more art forms and in future pursue career in the field of art and craft. 1. White wash of existing activity centre. The 2 rooms where the art and craft is conducted need to be white washed and than be painted by the budding artists of Aham Bhumika. 2. Purchase of fabric colours, brushes, drawing sheets, canvas, pencils, colour pencils, rubbers, art and craft magazines, sketch books and drawing copies. 3. 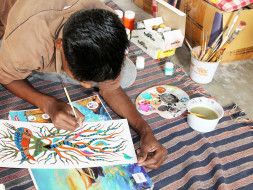 To organise art workshops to have hands on knowledge from the established tribal artists. 4. Purchase of fabric, thread and embroidery hoops for the students to start imparting the knowledge of hand embroidery. 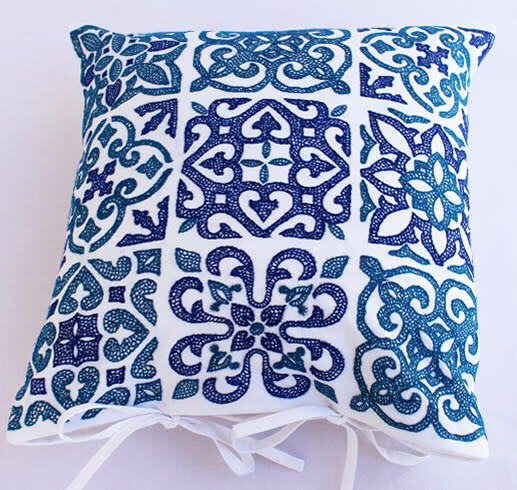 We've used the donation amount to buy more material and are soon launching a clothesline and introducing Indian wear. Ending the campaign. We'll be back soon with more updates. Raised 81k, still a long way to go. Aham Bhumika is working tirelessly with the women in Bhopal and creating unique art for your home/office.